Digestive cells rely on REDOX chemistry to do their complex work of absorbing nutrients, maintaining a broad array of microorganisms, and signaling the right messages for maintaining their metabolic balance. These cells that line our digestive tract, due to their specialized work, require a strong REDOX potential. Therefore they are capable of repairing themselves and replacing themselves very quickly (twice the speed of muscle cells). 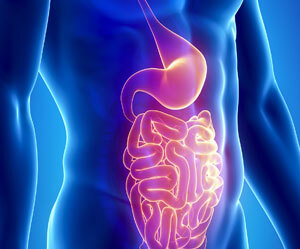 Detoxification and assimilation both occur in the GI tract and are vital to life. Eating foods rich in phytonutrients (Mom’s always say eat your greens) should result in improved health. For those who lack the ability to release proper enzymes that digest these nutrients, it may result in difficulty. REDOX molecules are the messengers that signal the release of these digestive enzymes. When we absorb these nutrients our bodies then signal for the production of antioxidants like glutathione. Such antioxidants protect us from oxidative stress and free radicals. REDOX molecules empower the propagation of a broad array of microorganisms in the GI tract. This is called the micro-biome. It is composed of many species of bacteria, fungus and yeast. This broad biodiversity creates a balance that is vital for health, and critically linked to REDOX chemistry. Inflammation is minimized which leads to intestinal wall strength and a strong barrier to protect our immune health and balance. Maintaining a proper weight is more than just eating the right number of calories. People often just store food without burning it. REDOX chemistry activates our metabolism to properly signal the appropriate metabolism. Stress signals from REDOX molecules will direct food storage for survival. Healthy REDOX signaling molecules will activate a youthful metabolism and result in energy and active metabolic processes. Supplementing REDOX molecules can lead to a healthier and more active metabolic balance in the body, which is critical to maintaining a good redox potential.